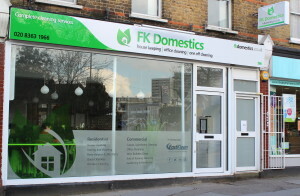 We have decided to welcome the new season with a full refurbishment at our Head Office in Enfield. The total overhaul took almost two months and was officially unveiled at a cosy reception with staff and long-term partners. The new working environment provides a completely new layout with more space and comfort to allow free flow of creative energy thus improve productivity and make our associates love their workspace. What is more – we are proud to announce that we have opened a new office branch to facilitate and improve our growing operation and ensure customer care standards are not only well-maintained but raised. We had just got out of the hectic times with Spring Cleaning and Rubbish Disposal and a very high volume of Gardening requests due to the awakening season have flowed in. As always, we manage to keep up the good work. What is more, we had to recruit and train extra workforce in order to increase capacity and fulfil what we promise, namely, Satisfaction Guarantee at all times. We will be running a lot of offers and promotions on this service all throughout May.